Walter ‘Wally’ James Dean was born on 7 June 1934 and passed away Monday 23 October 2017. Walter Dean held a council license for a barber shop at 30 Botany Road, Waterloo, from 1965 to 1968. He was known for his services to the less privileged members of his local community. Wally Dean was Alderman for Northcott Ward from 4 December 1965 to 13 November 1967 when the Sydney Council was replaced by City Commissioners. 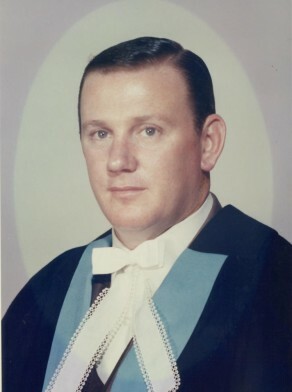 He served as Alderman of the Municipality of South Sydney from 1968 until his resignation on 6 February 1974. He was a member of the Works Committee and the Health and Recreations Committee in 1966-67. He was a member of the Australian Labor Party.